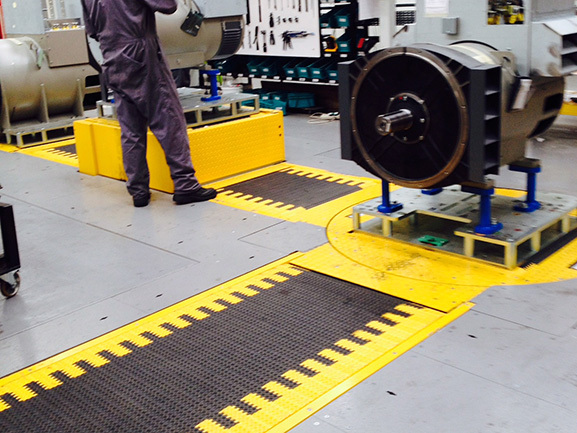 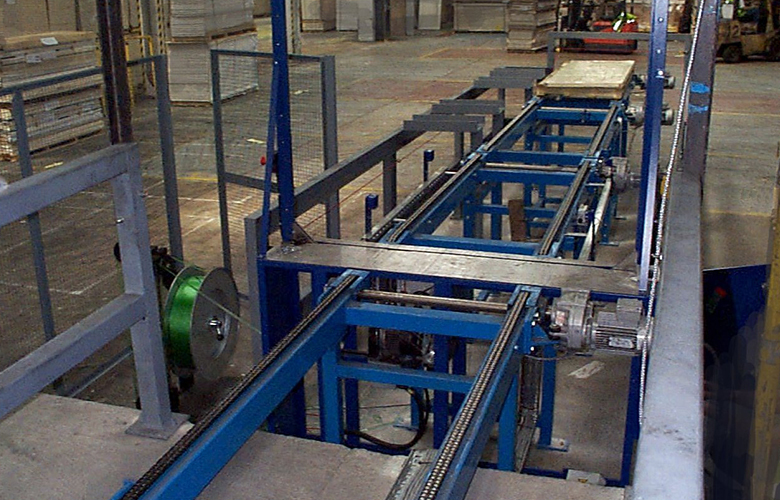 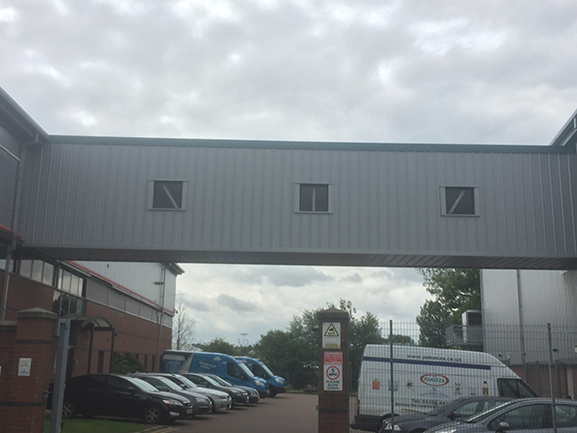 For arduous or heavy-duty production areas our Chain Conveyors are also used in our transfer units. 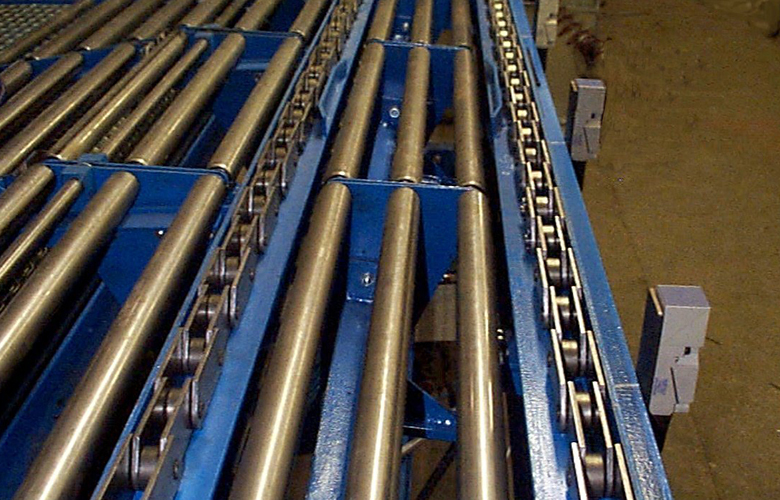 Particularly used in applications involving heating, washing or spraying, our Chain Conveyors are well designed and robust to offer years of serviceability. 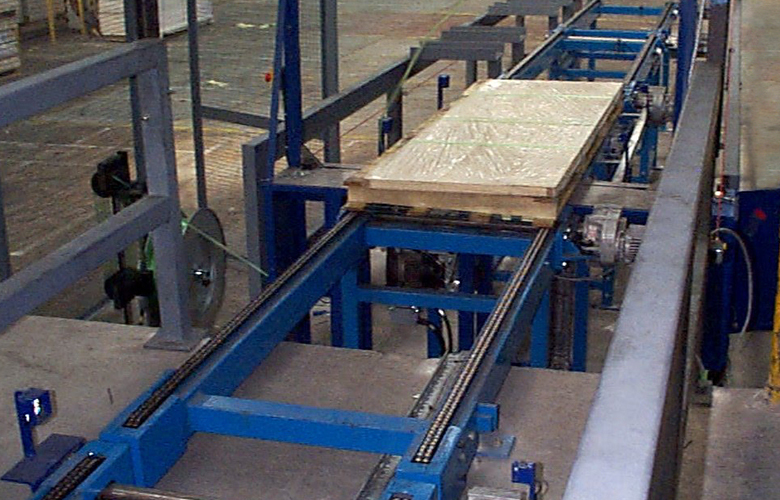 Exact positioning of product for robotic feed can be included with pneumatic clamping optional. 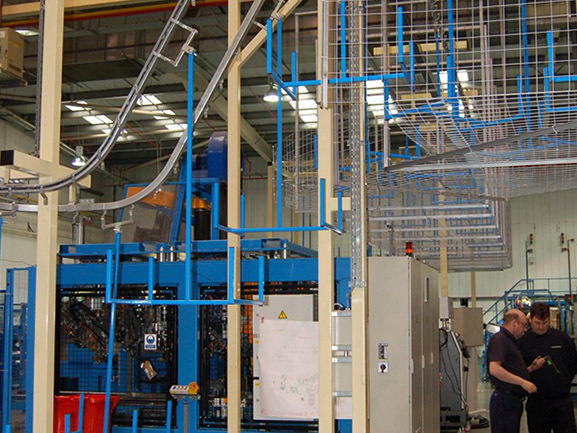 The chains can be deep link chain, plastic or malleable iron. 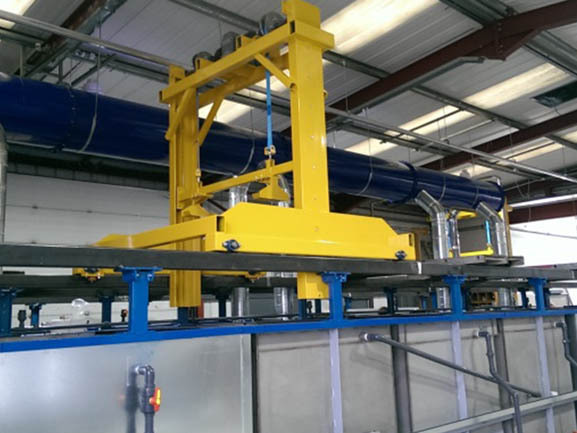 When fitted with top wheels or rollers they are effective for heavy duty accumulations in ovens and process applications.